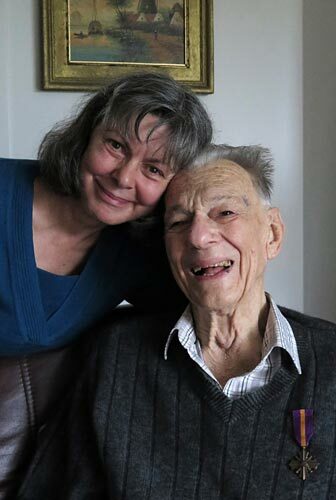 Seventy-five years after being conscripted into the Dutch East Army in World War II, Northland man Joop Mijnders was finally awarded his War Mobilisation Cross. He survived capture by the Japanese and slave labour alongside other beaten, starving and sick prisoners for nearly four years on the notorious Burma railroad. Joop Mijnders was just 18 when he was forced to watch as three of his schoolmates were tied to a wire fence and bayoneted to death. It happened 75 years ago but his voice still shakes when he recalls how his friends were executed as a lesson about what happened to anyone who didn’t follow orders. 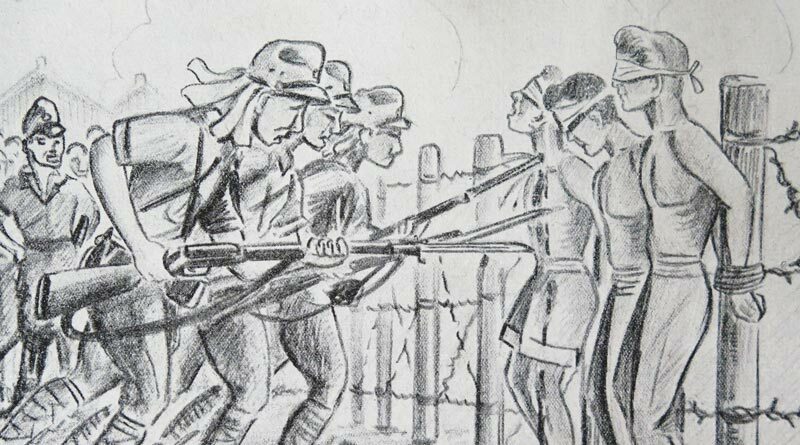 It was just one of many horrors he endured in Japanese prison camps in World War II. Joop Mijnders and then Northland MP Winston Peters share a joke. 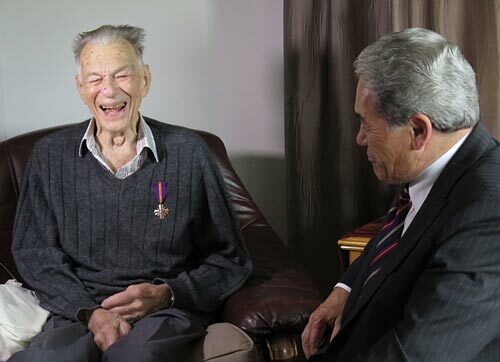 Joop’s service, and his ordeal, was finally recognised in August 2017 when Winston Peters, then the Member of Parliament for Northland, presented him with the Mobilisatie-Oorlogskruis [War Mobilisation Cross] on behalf of the Dutch government. Johannus “Joop” Mijnders, who turned 94 in July 2017 and lives near Whangarei, in northern New Zealand, was born in 1923 in the Dutch East Indies, now Indonesia. He was conscripted into the Dutch East Army in December 1941, days after the Japanese invasion, and was captured along with the rest of his battalion weeks later. In January 1942 he was transferred in the hold of a ship to Singapore with room only for the prisoners to stand or squat, and from there to the infamous Burma railroad. As a prisoner of war he endured hard labour, hunger, beatings and disease, including dysentery and malaria. His mind is still sharp but injuries inflicted by camp guards have given him lifelong pain and he now struggles to walk. In August 1945 the surviving prisoners were forced to dig their own graves just outside the camp perimeter. They were saved by Japan’s surrender, prompted by the dropping of atomic bombs, and the guards’ sudden desertion. Joop Mijnders and daughter Ingrid Godwin. 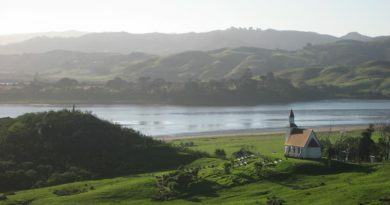 These days Joop lives with his daughter Ingrid Godwin and her husband John in Whatitiri, west of Whangarei. Ingrid said her father was “one of those men who managed to keep going”. Luck was also on his side a number of times, she said. Towards the end of the war he was chosen to go to Japan as forced labour. For some reason, however, he was sent to a railway engine repair camp instead, which took him off the railroad and spared him a journey to Japan which few survived. Through the ordeal the prisoners maintained their sense of humour, usually at the guards’ expense. Their jokes were often repaid with punishment but helped keep them sane. Joop said he had no complaints about having to wait 75 years to be recognised. After the war the Dutch government was too busy trying to rebuild a shattered country to worry about its veterans, he said. John Godwin said the war was also the backdrop to his father-in-law’s “fantastic love story”. Joop met Dolly de Leeuw at a dance in Batavia (now Jakarta) shortly before the war. He was 17, she was two years younger and standing by the piano in a blue dress. Joop knew straight away she was the girl for him but the war tore them apart. He was still in a holding camp in Batavia when he heard she was ill so he managed to escape after roll call, visit her in hospital, and slip back through the fence before his absence was noticed. 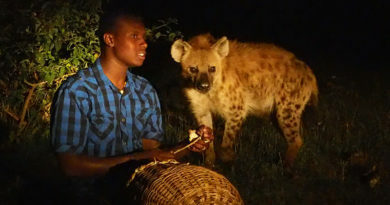 He had just returned when he saw his friends bayoneted for trying to leave the camp. 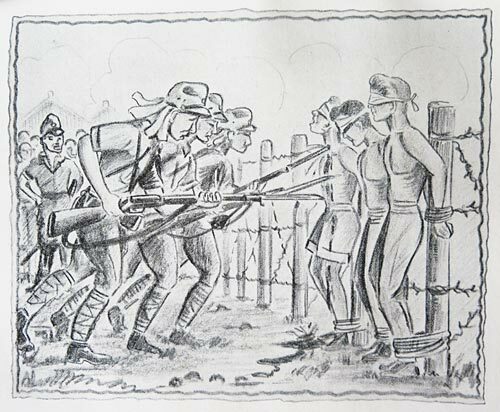 Three of Joop’s schoolmates were executed soon after being taken prisoner. Later, when he was shipped to Singapore, Dolly and other Dutch civilians were taken to a concentration camp, and they lost contact. After the war Joop served another year in Bangkok and, unable to return to what had since become Indonesia, went to Holland. Dolly also survived the war and went to Holland. Neither knew where the other was until they met at a party in Haarlem, west of Amsterdam. 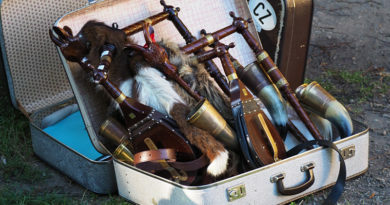 They married in 1947 but struggled to adapt to life in cold, unfamiliar Holland, so in 1951 they packed a suitcase and emigrated to New Zealand with their two young children. Ingrid said they arrived with next to nothing but worked hard to build up a new life. 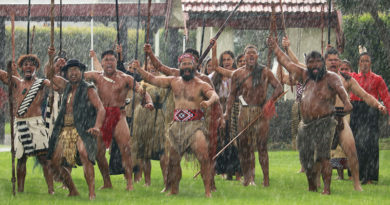 First they built a house in Hawke’s Bay, later moving to Coromandel, then Tauranga and most recently Northland. They had two more children and became citizens in 1955. Joop said he had no regrets about coming to New Zealand. 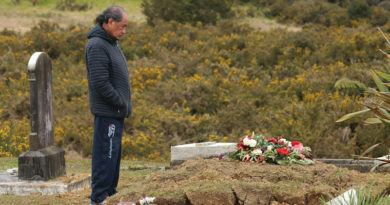 Winston Peters, then Northland MP but now New Zealand’s Deputy Prime Minister, said Joop’s life was an extraordinary story of sacrifice and survival. His suffering, and the deaths of so many in Asia during World War II, had been largely forgotten due to a Euro-centric view of history. Few things that happened in politics were as special as the chance to present Joop’s medal, he said. He was a standout example of the Dutch migration to New Zealand in the 1950s and 60s. 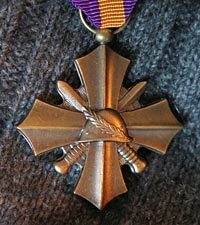 The Mobilisatie-Oorlogskruis (War Mobilisation Cross) is awarded to those who served the Netherlands in World War II. Joop Mijnders died on July 8, 2018, just 10 days before his 95th birthday. You can read an obituary here.